D. Yogi Goswami is immediate past President of the International Solar Energy Society (ISES). 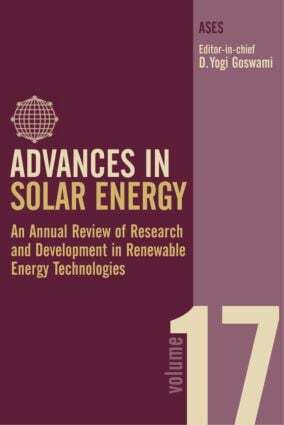 This series is published in association with The American Solar Energy Society (ASES), the United States section of ISES. ASES is a non-profit organization dedicated to the development and adoption of renewable energy in all its forms. For more information, visit www.ases.org.